An easy plant to grow that will add colour and shape to a room. 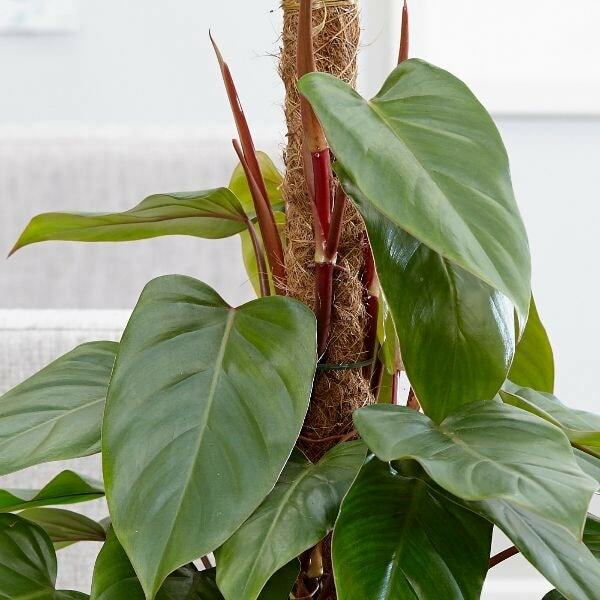 Philodendrons have been popular houseplants for sometime now as they are fast growing with glossy heart-shaped leaves This variety also has noticable red stems to contrast against the lush foliage. A great climbing plant grown up a moss pole. Please note that the pot in the photograph is not supplied with the plant (which is sent out in a black plastic pot). They do however make excellent potted plants, and if you wish to pot yours up, we do have a wide range of pots on our website to choose from. Lovely plant, and still healthy! Having recently moved into my own place, I wanted a plant to bring some colour & vibrance to the living room space. Due to the size of the room & layout, there is really only one place I can put a plant, and unfortunately it's a corner that doesn't get too much light. It is however a corner that would benefit from a very tall plant, so I needed a houseplant that had the potential to grow tall, but wouldn't mind low-light. After researching the internet high and low, I settled on getting this Philodendron erubescens, and so far it's remained healthy & is actively growing well. The service from Crocus was excellent, it was well packed for delivery, and is a wonderful looking plant. Despite the lack of light, my Philodendron appears to be coping well. I am a novice when it comes to houseplants, but am going to be doing everything I can to ensure I'm watering & feeding my Philodendron correctly, and hopefully it will continue to grow well, and grow tall! .....having lived most of the first 50 years of my life in florida, houseplants were easy to come by and, as you might imagine, affordable. retired now and on a limited budget, i only buy a plant as a special treat every so often. The red emerald is a long time favorite and has been difficult to find or i find but they are out of stock. The plant i received, in perfect condition and packed very safely, is just stunning! I fell in love so fast, i told my hubby...lifelong brit...that i was going to break the spending rule and order a 2nd one, since the first will soon be divided up to make water bottle plants....a hobby and developing business. Thanks so much for bringing this HUGE smile to my face!! When getting this plant home, do you have to keep it in its current plastic pot (if so, how long for? ), or can you re-pot it immediately into a more attractive plant pot/tub? If it is safe to re-pot straight away, what size pot/tub should initially be used? 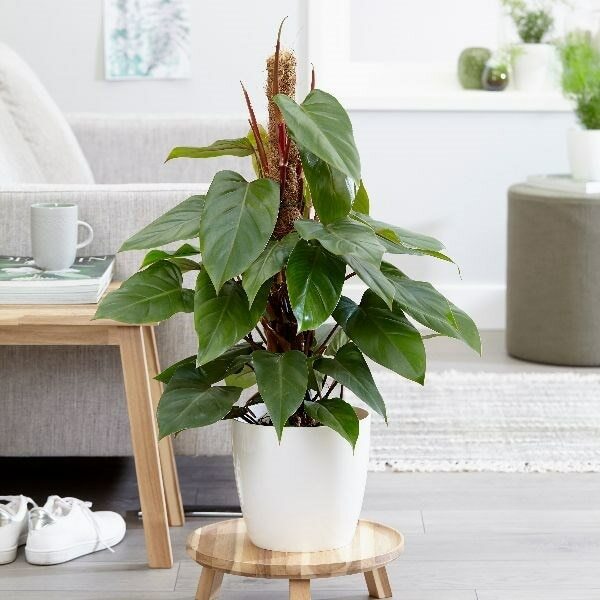 Hello, You can re-pot this plant immediately if you wish (and if you are careful), but there are no hard and fast rules about the pot size. Ideally it should be at least one or two sizes up, but you can go for something much larger if you have the room.